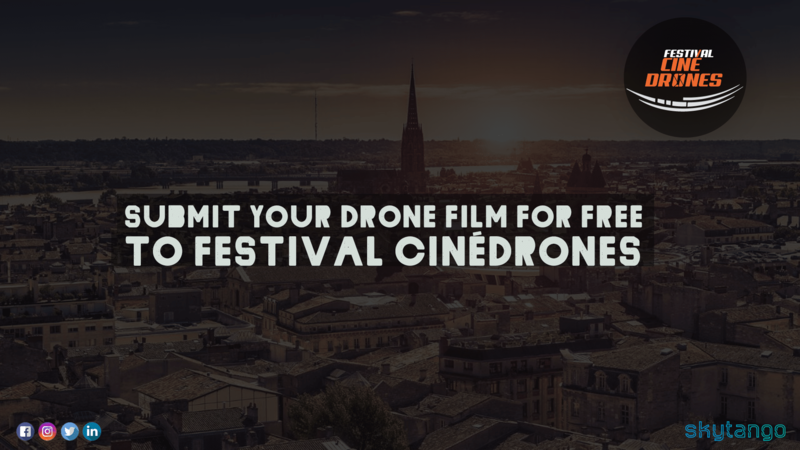 Grab your coupon to submit your drone film for free to CinéDrones, a festival showcasing the best of aerial cinematographers worldwide. As the popularity of drone film festivals grows with events popping up globally, there is one drone film festival that owns the ‘first in Europe’ title – CinéDrones International Film Festival. Debuting in 2015, the CinéDrones International Film Festival has gone from strength to strength with the first two editions receiving in excess of 1000 recorded films from 30 countries worldwide! CinéDrones is now in its third edition and will take place on November 17th & 18th, 2017 in Saint-Médard-en-Jalles, a lovely town close to Bordeaux, France. We are proud sponsors of this great initiative, providing the winners of CinéDrones with Pro memberships to Skytango. Organized by Bordeaux Technowest and Athenium Films, CinéDrones shines a light on the best creations from around the globe that have enriched their work with the use of flying cameras! This year the event is planning to keep up the momentum with participants having 11 different categories to choose from including special categories specifically for submissions in Japanese and from women. Honorary President of CinéDrones International Film Festival is César Award winner and French actor and producer, Christopher Lambert who starred in over 70 movies including the blockbuster Highlander. 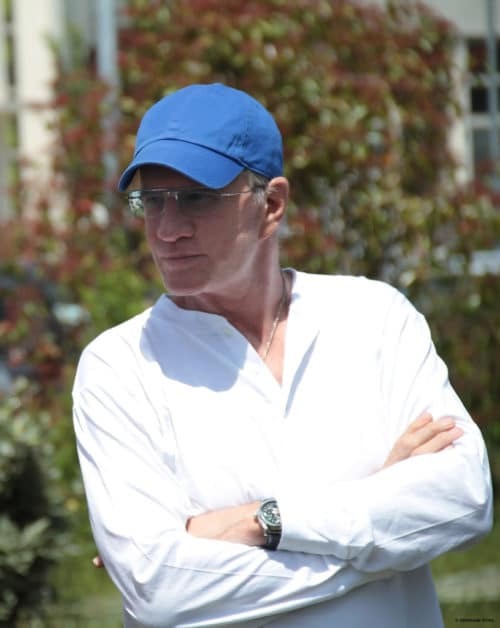 Cinema star Christopher Lambert is also passionate about aviation and about new technologies. He has been Honorary President of CinéDrones since the first edition of the festival in 2015. The jury, which includes our own Susan Talbot, will host Orelsan, popular French rapper, songwriter, record producer, actor and film director as Jury President. There are cash prizes up for grabs for the winners of each category with winners’ films also being screened throughout the festival. Companies of the likes of Parrot, GDF SUEZ group, and the French Professionnelle Federation Du Drone Civil have partnered with CinéDrones in the past editions of the event providing support and prizes. to get 100% off submissions to CinéDrones International Film Festival 2017. So get your video and start submitting before October 30th! The festival itself takes place in Cinéma l’Etoile in the municipality of Saint-Médard-en-Jalles that lies about 12.5 kilometres north west of Bordeaux city centre. Apart from the screening and the award ceremony, the 2-days event schedule also includes side activities. Practical masterclasses for drone operators and filmmakers interested in using drones, and panels debating different aspects of the drone industry will be held in different locations in Saint-Médard-en-Jalles. Check the CinéDrones website for details.